Below is a list of the latest Airtel plans available in 2018 with their features, tariff rates, and migration codes. Learn about all the Airtel prepaid tariff plans and Airtel 4g plans and compare them to choose the one that suits your needs best. Airtel Nigeria offers a wide range of tariff plans and data plans from which their customers can select. Every Airtel subscription has its unique features and bonuses that will make you want to subscribe to it. You can choose from the plans listed below the plan that will work best for you, based on your voice time needs and internet usage. These are the latest Airtel tariff plans to choose from in 2018. This is the default plan for Airtel’s new prepaid users. This plan gives new prepaid customers eight times bonus on every recharge plus hundred (100) percent data bonus on every of your recharges at the end of the month. Old prepaid customers on other Airtel prepaid plans cannot migrate to this plan. To enjoy this offer, just get a new Airtel Sim Card and register it at any Airtel registration centre. Once you insert the registered sim in a phone and you start recharging, you will enjoy the bonuses from your first recharge. No special recharge code is needed just the normal Airtel recharge code *126*PIN#. Calls to all the local networks are charged at 50 kobo/sec. Calls to five top international destinations (Canada, China, India, the United Kingdom, and the United States of America fixed) charged at 50kobo/sec. This Airtel subscription plan offers the lowest per second call rate on Airtel at 11 kobo per second. Airtel prepaid users on this plan will be able to make a call at 11kobo/sec after the first minute of voice time of the day has been charged at 40kobo/second. Check out the tariff rates applicable on this plan below. The first-minute call of the day to local networks is charged at 40kobo/sec. After the first minute, all on-net calls (Airtel to Airtel) are charged at 11kobo/sec. After the first minute, all off-net local (Airtel to other local networks) are charged at 11kobo/sec. The first-minute call of the day to the five top international destinations is charged at 40kobo/sec. After the first minute, calls to the five top international destinations are charged at 11kobo/sec. Standard tariffs apply to calls to other international destinations. This plan also offers a generous bonus data on every of your recharge. See how the bonus works below. Airtime recharge of 100 to 198 Naira attracts a data bonus of 5MB. Airtime recharge of 200 to 498 Naira attracts a data bonus 15MB. Airtime recharge of 500 to 998 Naira attracts a data bonus of 50MB. Airtime recharge of 1000 Naira above attracts a data bonus of 150MB. smartROAM is a more of a product than a plan that Airtel users enjoy when they are roaming their number in any of these countries Saudi Arabia, South Africa, the United Kingdom, the United States of America, United Arab Emirates. It allows you to roam your number and receive free calls while you are in these five countries after you have recharged up to 5,000 worth of airtime and above. You will enjoy 300 minutes of free incoming voice calls. 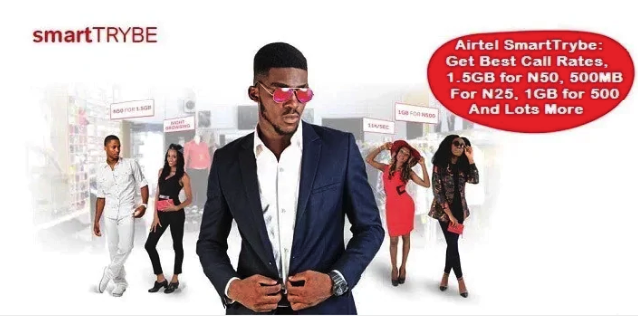 This Airtel subscription plan is another plan that also allows Airtel customers to make calls at the lowest rate per second on Airtel after a daily access fee of 5 Naira has been charged. Check out how the tariff rates applied on this plan. Daily Access Fee of 5 Naira. Calls to all the local networks are charged at 11kobo per second. Calls to five top international destinations (Canada, China, India, the United Kingdom, and the United States of America) charged at 20kobo per second. Calls to other international destinations charge at normal network rate. Pay as you go data charged at 5kobo/kb. 1GB data for 500 Naira. Valid for seven days. 25 Naira for 500MB data for night browsing between 12 am and 5 am. Check out the tariff rates applicable on this plan below. First 50 seconds of your first call of the day (or first 50 seconds of voice time of the day) to any local networks are charged at 20kobo/sec. From the 51st second of your first call and other calls of the day to all the local networks are charged at 11kobo/sec. Calls to five top international destinations (Canada, China, India, the United Kingdom, and the United States of America) are charged at 20kobo per second. Calls to other international destinations charge at standard network rate. 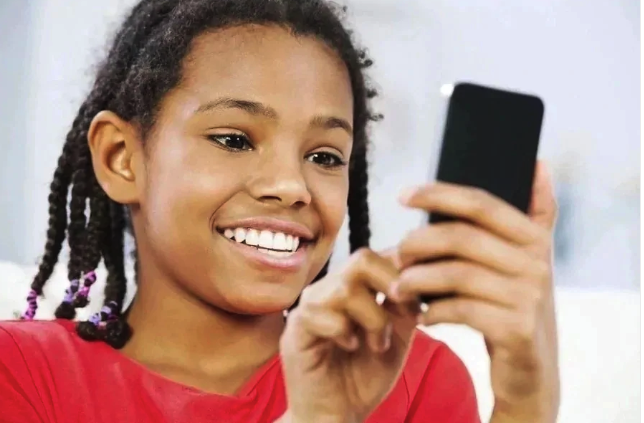 Free calls and SMS from the kid’s line to Dad and Mum. Ten (10) percent airtime bonus sent to the kid’s line when the parents recharge. 100 percent data bonus on data purchases of 200 Naira and above. NERDC approved courses that make learning fun for children. First one minute of voice time of the day is charge at 40kobo/sec. Subsequent calls are charged at 20kobo/sec. Calls to five top international destinations (Canada, China, India, the United Kingdom, and the United States of America) charged at 30kobo/sec. Calls to numbers registered as Parents, Family and Friends are charged at 11kobo/second. SMS to numbers registered as Parents, Family, and Friends SMS are charged at 2 Naira/SMS. These rates apply to only registered Parents, Family, and Friends numbers when you buy the family bundle at N200/month. smartVALUE is a prepaid plan that is optimal for voice calls. It offers a flat call rate at 15 kobo per second to all networks from the very first second of your voice call for the day without daily access fee. Check out the tariff rates on this plan below. Calls to all the local networks are charged at 15kobo per second (from the very first second). Calls to five top international destinations (Canada, China, India, the United States of America, and the United Kingdom Landline) are charged at 20kobo per second. SMS to all the local networks – 4 Naira/SMS. Old and new Airtel customers can migrate to this plan by dialing *314#. These are the current Airtel data plans available to choose from. Airtel offers you a rich bouquet of data bundles to meet your internet needs. Data allowance for this plan is 20MB. The subscription fee is 50 Naira, and it is valid for twenty-four (24) hours. Data allowance for this plan is 75MB. The subscription fee is 100 Naira, and it is valid for twenty-four (24) hours. Data allowance for this plan is 200MB. The subscription fee is 200 Naira, and it is valid for three days. Data allowance for this plan is 350MB. The subscription fee is 300 Naira, and it is valid for seven days. USSD Subscription code for this plan is *417#. Data allowance for this plan is 750MB. The subscription fee is 500 Naira, and it is valid for fourteen days. Data volume allowance is 1.5GB. The subscription fee is 1,000 Naira. This subscription is valid for thirty (30) days. Data volume allowance is 2.5GB + 1GB Data for night browsing (Total – 3.5GB). The data for night browsing is usable between 1 am and 7 am. The subscription fee is 1,500 Naira. The USSD code for the subscription to this plan is *440*16#. Data volume allowance is 3.5GB. The subscription fee is 2,000 Naira. The USSD code for the subscription to this plan is *437#. Data volume allowance is 4.5GB + 1GB Data for night browsing (Total – 5.5GB). The data for night browsing is usable between 1 am and 7 am. The subscription fee is 2,500 Naira. The USSD code for the subscription to this plan is *437*1#. Data volume allowance is 5.5GB + 1GB Data for night browsing (Total – 6.5GB). The data for night browsing is usable between 1 am and 7 am. The subscription fee is 3000 Naira. The USSD code for the subscription to this plan is *438#. Data volume allowance is 7.5GB + 2GB Data for night browsing (Total – 9.5GB). The data for night browsing is usable between 1 am and 7 am. The subscription fee is 4,000 Naira. The USSD code for the subscription to this plan is *438*1#. Data volume allowance is 1GB. Subscription fee is 200 Naira. This plan is valid for ten (10) days. USSD Subscription code for this plan is *482*1#. Data volume allowance is 3GB. Subscription fee is 500 Naira. This plan is valid for twenty-five (25) days. USSD Subscription code for this plan is *482*2#. It is a special Airtel internet plan for smartphone users. You can have a special plan and data volume dedicated just for browsing and staying up to date with your social media handles. Subscription fee is 25 Naira. Subscription is valid for twenty-four hours. Note this plan is usable for WhatsApp only. The USSD code for subscribing to this plan is *948*4#. Data allowance is 20MB. This plans can be used for Facebook, Twitter WhatsApp, WeChat, etc. The subscription fee is 50 Naira. The USSD code for subscribing to this plan is *991*4#. Data allowance is 50MB. This plans can be used for Facebook, Twitter WhatsApp, WeChat, etc. The subscription fee is 100 Naira. Subscription is valid for five (5) days. The USSD code for subscribing to this plan is *688*3#. Data allowance is 600MB. This plans can be used for Facebook, Twitter WhatsApp, WeChat, etc. The subscription fee is 300 Naira. Subscription is valid for twenty-five (25) days. Airtel Mega Packs are designed for the heavy data user. Enjoy Streaming, Downloads, etc. on your device or across multiple devices. The data volume allowance is 10GB plus 2GB Data for night browsing (Total – 12GB). The data for night browsing is usable between 1 am and 7 am. The subscription fee is 5,000 Naira. Subscription is valid for thirty (30) days. The USSD code for subscription is *452#. The data volume allowance is 25GB. The subscription fee is 10,000 Naira. The USSD code for subscription is *462*10#. The data volume allowance is 40GB. The subscription fee is 15,000 Naira. The USSD code for subscription is *462*15#. The data volume allowance is 60GB. The subscription fee is 20,000 Naira. The USSD code for subscription is *462*20#. This plan offers standard data volume of 1.5GB plus 3GB YouTube Data for access to YouTube at night from 1 am to 5 am. Total volume date of 4.5GB. This subscription plan is valid for thirty (30) days. The USSD code for subscription is *323*31#. This plan offers 300MB for watching YouTube videos at any time of the day. Subscription is valid for seven (7) days. The USSD code for subscription is *323*12#. This plan offers 600MB for watching YouTube videos at any time of the day. The subscription fee is 400 Naira. The USSD code for subscription is *323*11#. This plan offers 300MB for watching YouTube videos at night from 1 am to 5 am. The subscription fee is 150 Naira. The USSD code for subscription is *323*22#. This plan offers 600MB data volume for watching YouTube videos at night from 1 am to 5 am. The subscription fee is 200 Naira. The USSD code for subscription is *323*21#. These are Airtel tariff plans and data plans available for subscription in 2018. I hope this piece has been very helpful. You can compare them and choose the one that suits your needs.